MOSCOW, Russia — Russia said Friday it will host a three-way summit with Turkey and Iran on the Syrian conflict early next year, after Foreign Minister Sergei Lavrov voiced skepticism about an announced withdrawal of US forces. “It’s our turn to host the summit… around the first week of the year. This will depend on the schedules of the presidents” of the three countries, deputy foreign minister Mikhail Bogdanov was cited as saying by Interfax news agency. US President Donald Trump has said he will withdraw 2,000 US soldiers deployed in Syria, claiming that the Islamic State jihadists there had been defeated. A Turkish delegation that includes Foreign Minister Mevlut Cavusoglu and Defense Minister Hulusi Akar is due in Moscow on Saturday to discuss the US pullout. Meanwhile, Kremlin spokesman Dmitry Peskov hailed the entry on Friday by Syrian forces into the key northern city of Manbij for the first time in six years after Kurds opened the gates. Peskov said the Turkish ministers’ visit to Moscow would serve to “clarify” the situation and “synchronize actions” between the two countries. 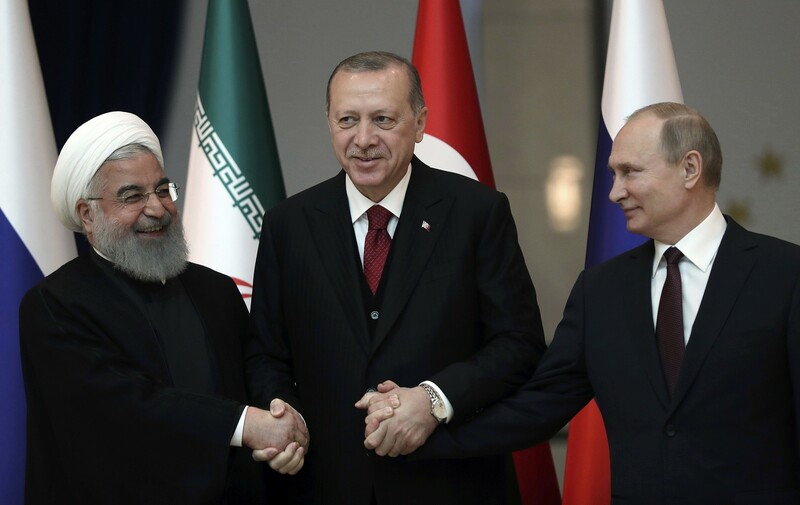 A three-way summit in January would be the latest step in the Astana peace process — set up in early 2017 by Russia and Iran, who support President Bashar al-Assad’s regime in Syria, and opposition backer Turkey. The Astana process was launched after Russia’s military intervention in Syria tipped the balance in the Damascus regime’s favor. This entry was posted on December 29, 2018 at 6:23 AM and is filed under Uncategorized. You can subscribe via RSS 2.0 feed to this post's comments. You can skip to the end and leave a response. Pinging is currently not allowed.